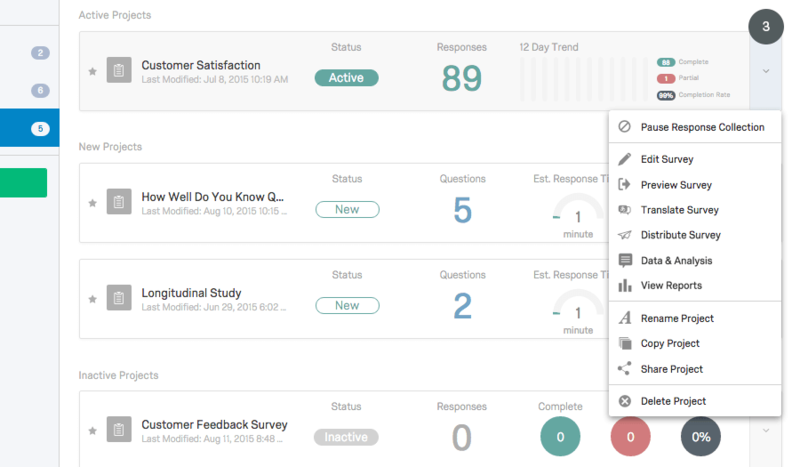 Welcome to the new Qualtrics Insight Platform, our solution for helping you connect data and drive outcomes. 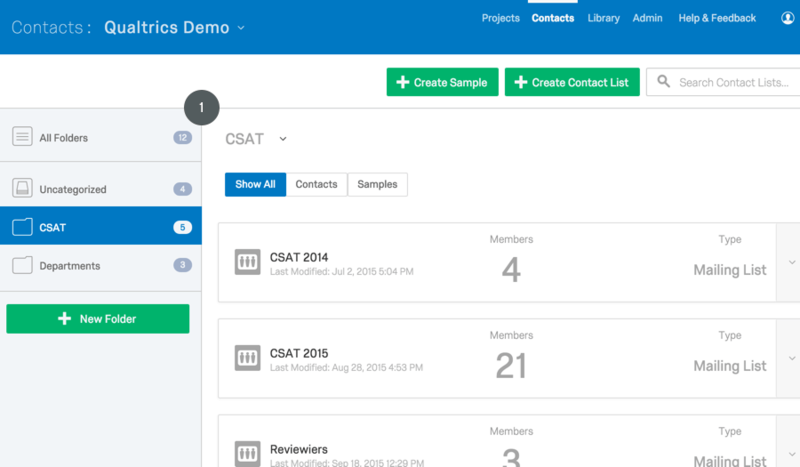 We have a new layout and design, as well as many new features to help you simplify and streamline your workflow. 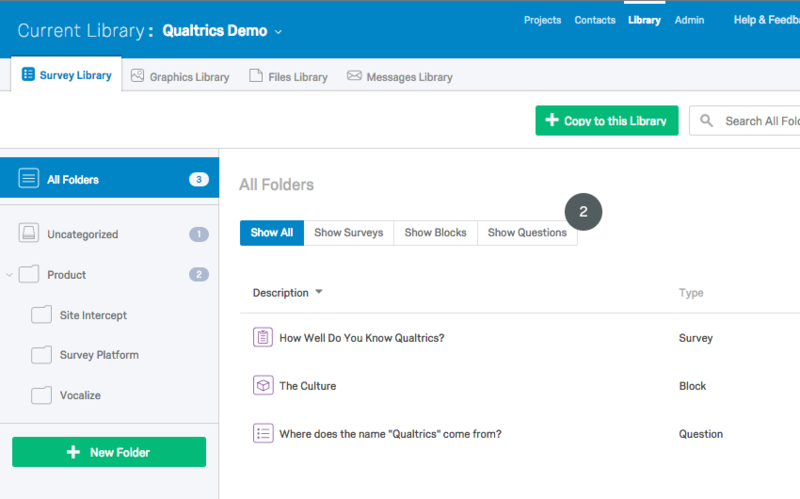 Additionally, our new user interface (or “UI”) lays the foundation for an exciting new way of managing your projects through Qualtrics. We hope you’re as excited about these changes as we are! 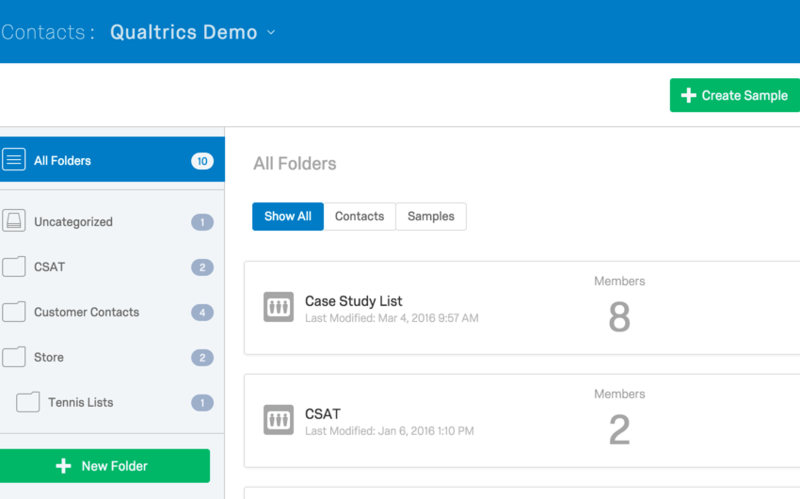 Take a look at this page to view the key changes and additions we’ve made to each part of our platform. 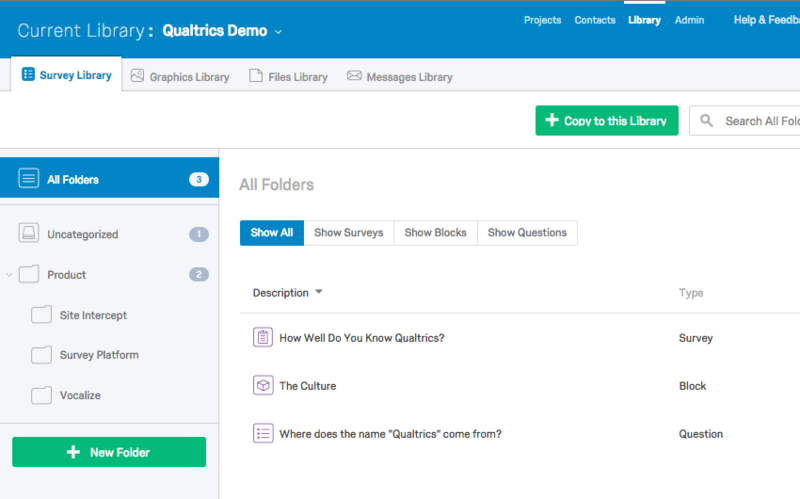 New to Qualtrics or want a refresher of the basics? 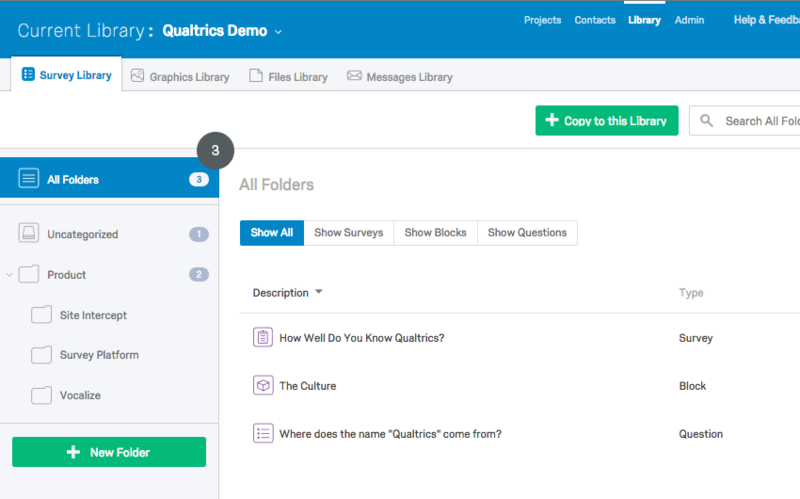 Watch our getting started video, or learn Qualtrics in 5 simple steps. 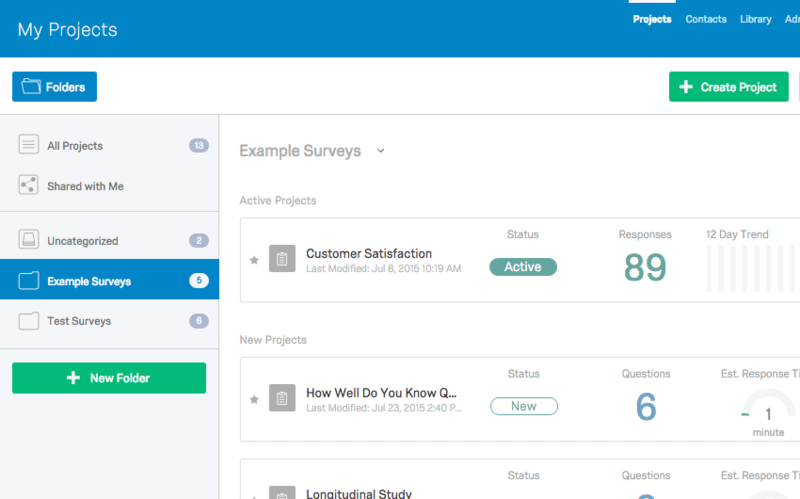 The My Projects landing page replaces the old My Surveys page. 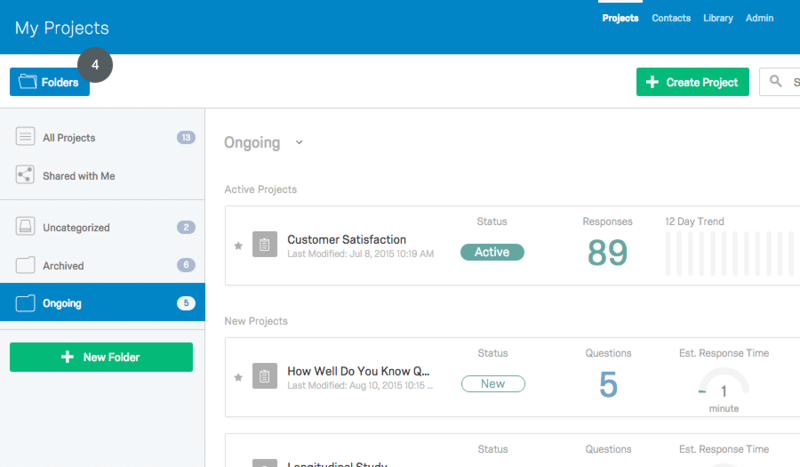 To help streamline navigation, we separated Projects, Contacts, and Libraries and moved them to the upper right-hand corner. 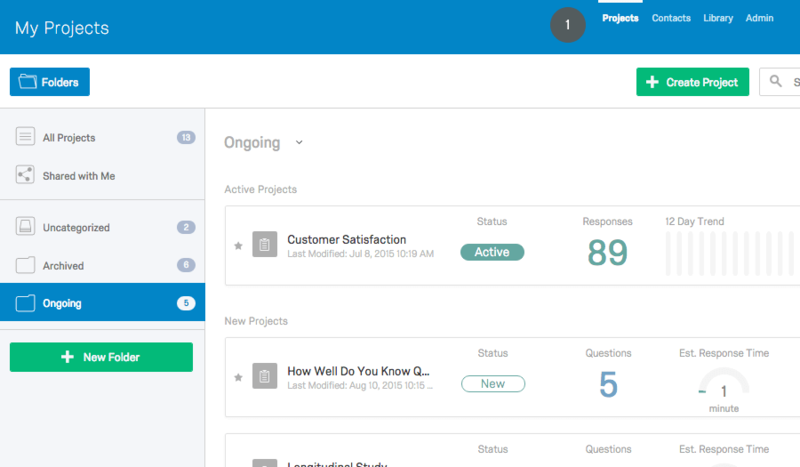 These sections are visible from every screen, allowing you to easily move between functions from anywhere within the platform. We’ve also made other layout adjustments throughout the page. Pushed Projects, Contacts, and Libraries to the upper right. 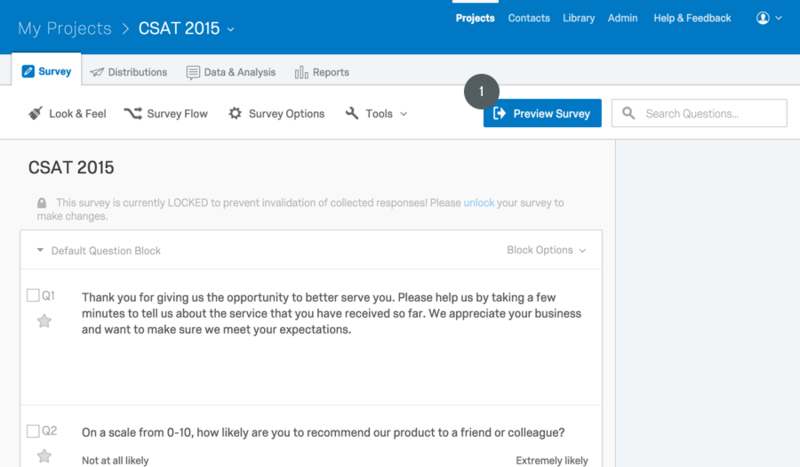 Changed survey collaboration so that everyone gets an email notification and collaboration codes are no longer necessary. 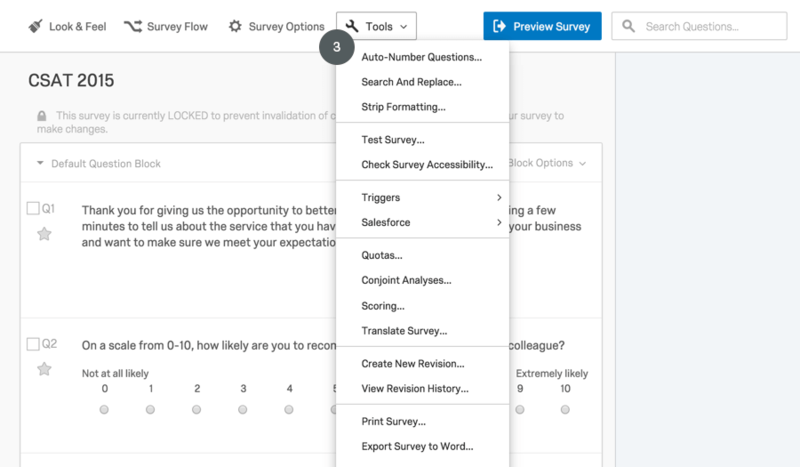 Moved survey tasks to the Project Options dropdown. 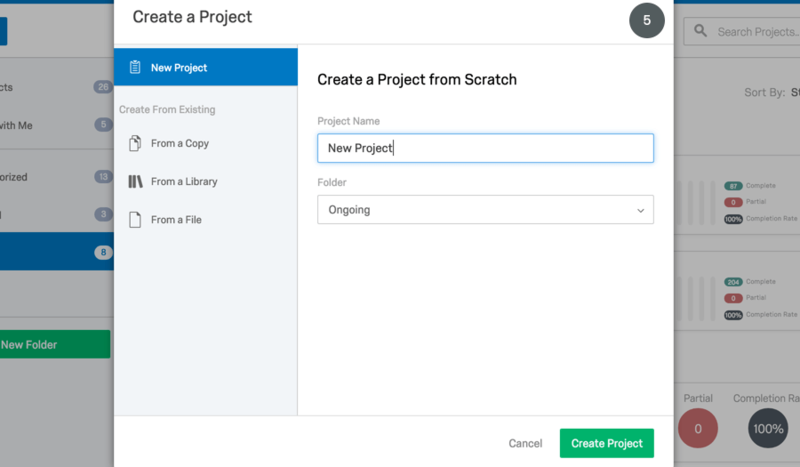 Shifted folder layout and options to the Folder Pane. 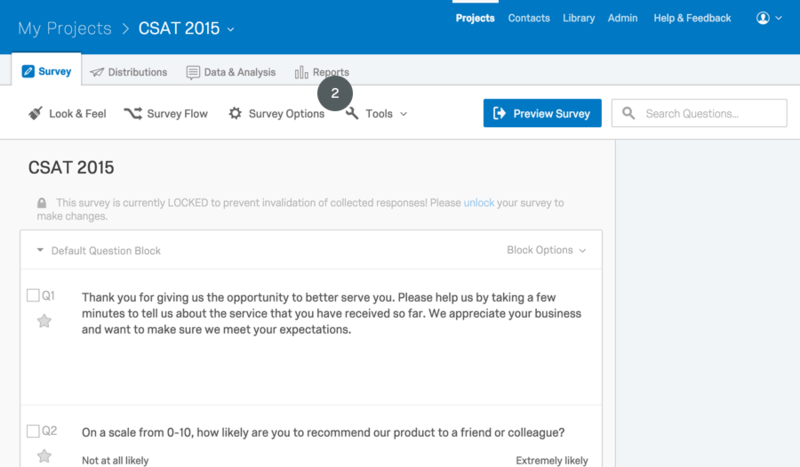 Replaced the Create Survey tab with the Create Project button. 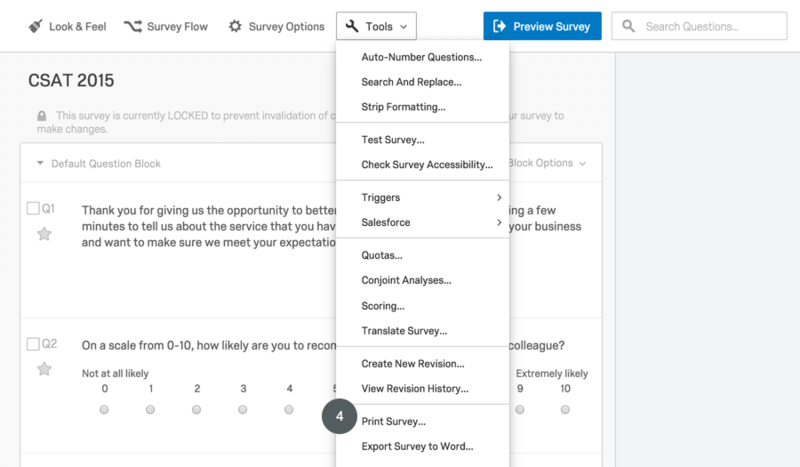 The Survey module replaces the Edit Survey tab. Most of the changes we’ve made here are cosmetic. 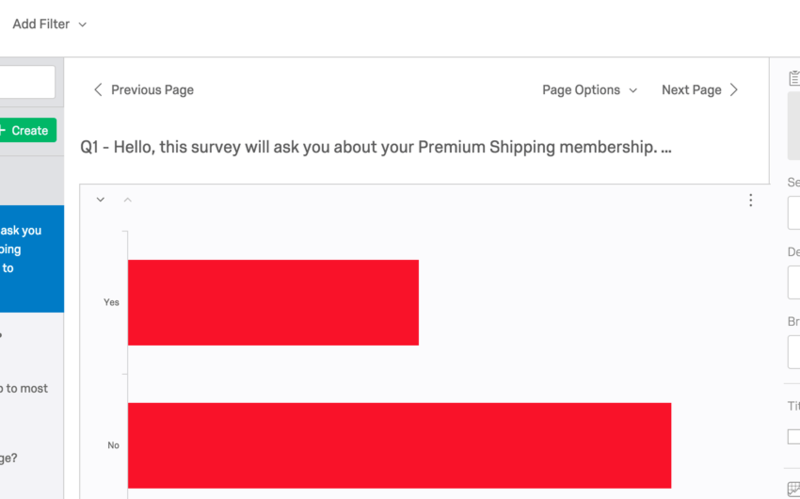 Shifted Preview Survey to the far right. Relabeled the Advanced Options dropdown as Tools. Relabeled and rearranged the order of items under Tools. Moved Print Survey under Tools. 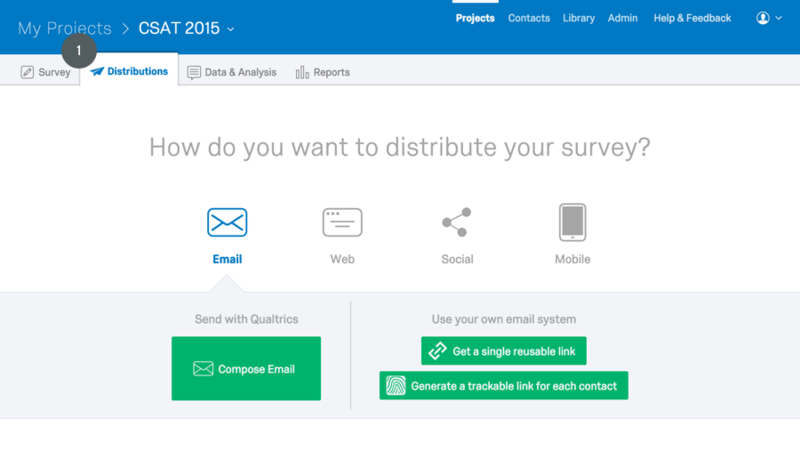 We’ve completely re-envisioned the Distribute Survey tab as the Distributions module. 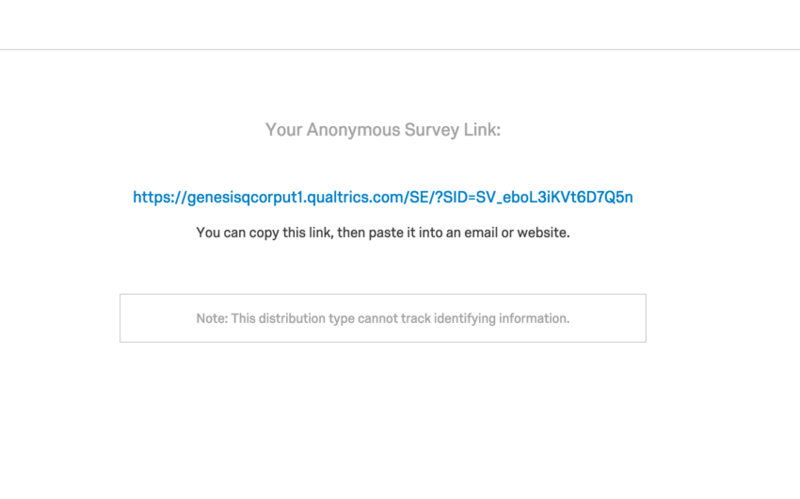 The first time you enter this module for a new survey, you'll be prompted to choose your distribution channel (email, web, etc.). 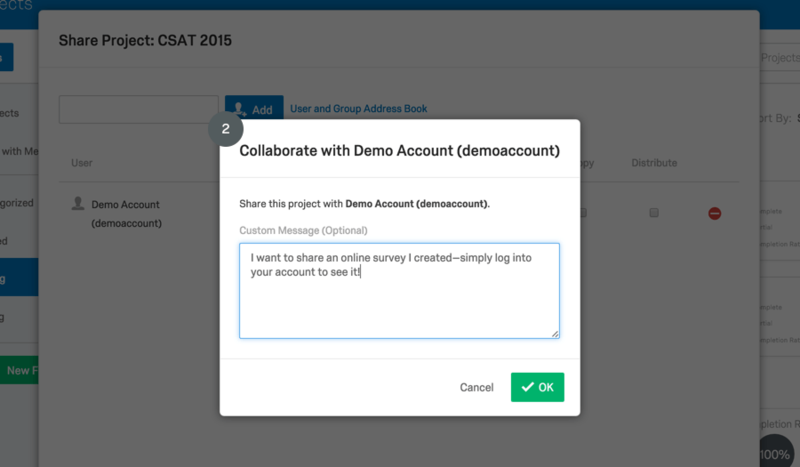 Choosing a method activates your survey and brings you to the option tab for that method. Each method has its own sidebar tab, and all relating actions are self-contained within that tab. 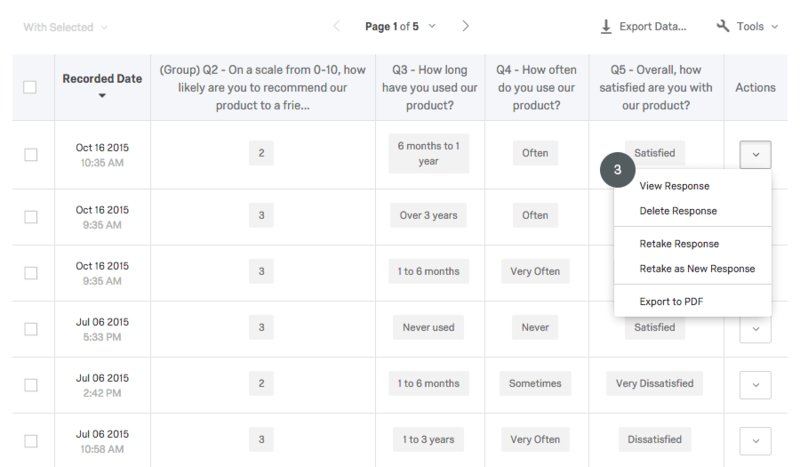 After choosing your channel the first time, your Distributions module will remain in the tab view and you can distribute your survey through any other desired channels. Additionally, we’ve combined and relabeled some of the distribution options. Added a new Distribution navigation page for the first time you enter. 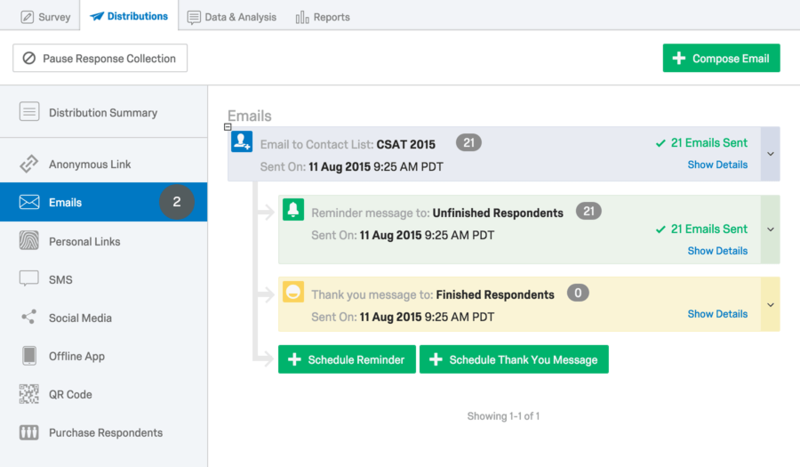 Combined Email Survey and Email History into the new Emails tab. 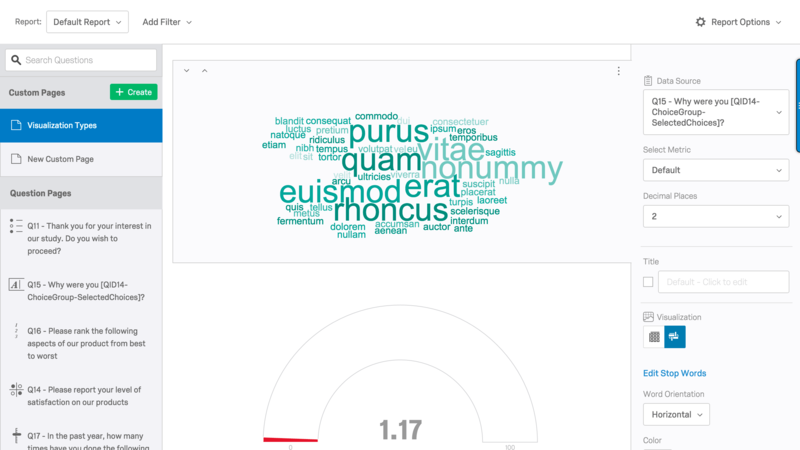 Relabeled Generated Links as Personal Links. Updated social media options and added Pinterest. 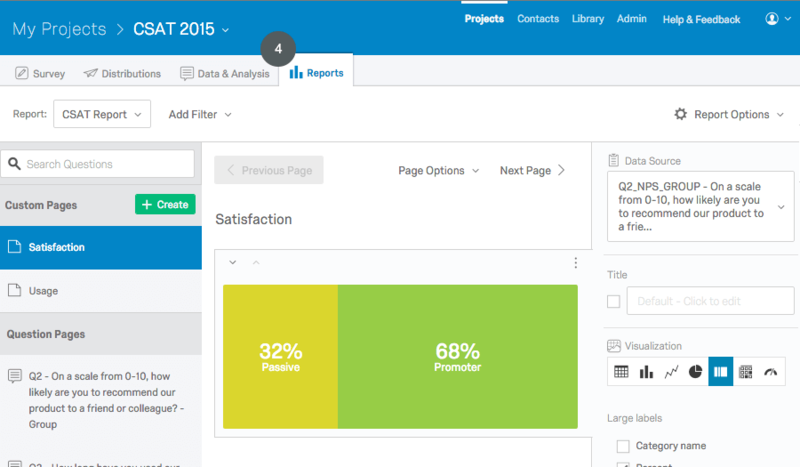 The Data & Analysis and Reports modules replace the View Results tab. 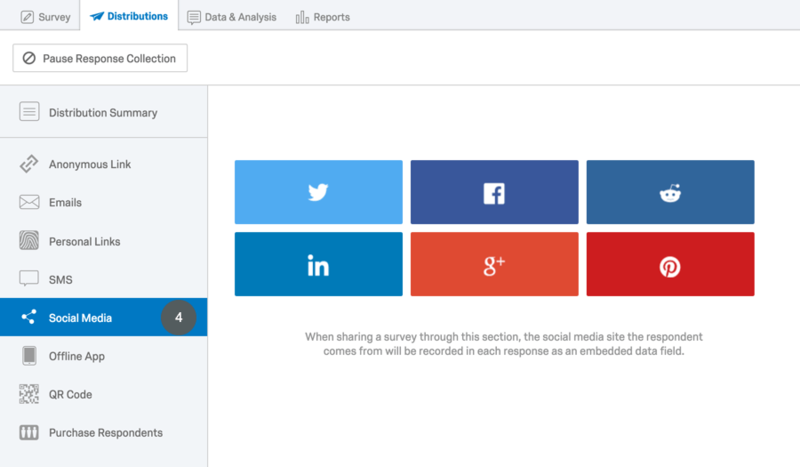 From Data & Analysis, you can view, manage, analyze, and export your individual response entries. 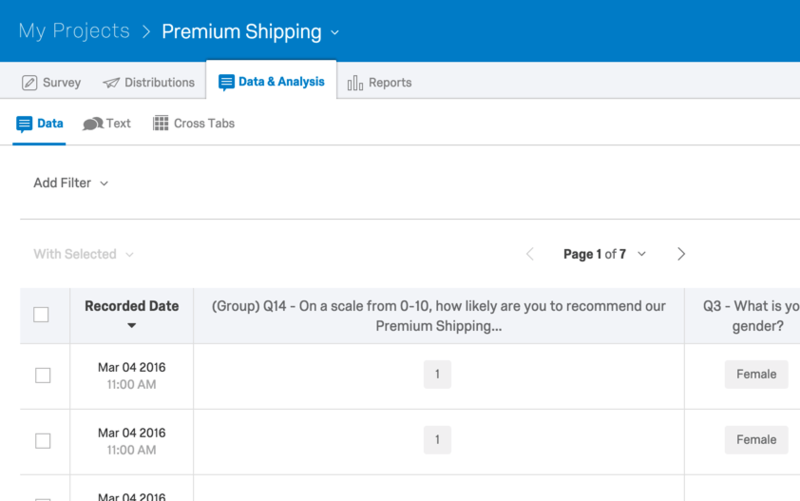 From Reports, you can visualize, explore, and report on your aggregate data. 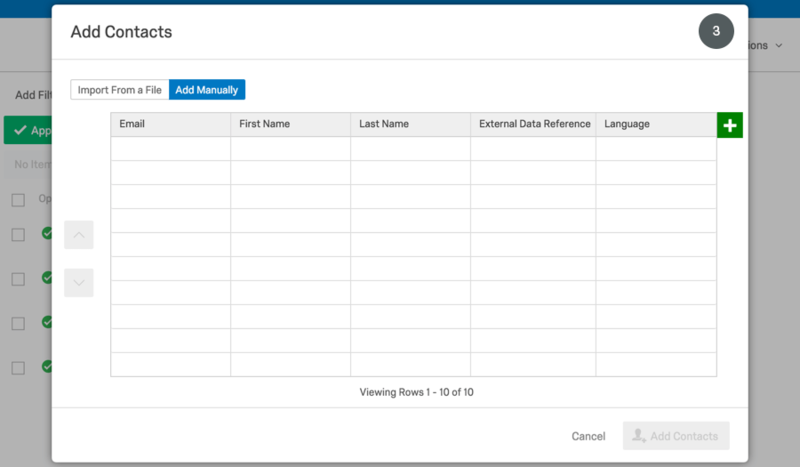 Relabeled the Advanced Options dropdown as Tools in Data & Analysis. 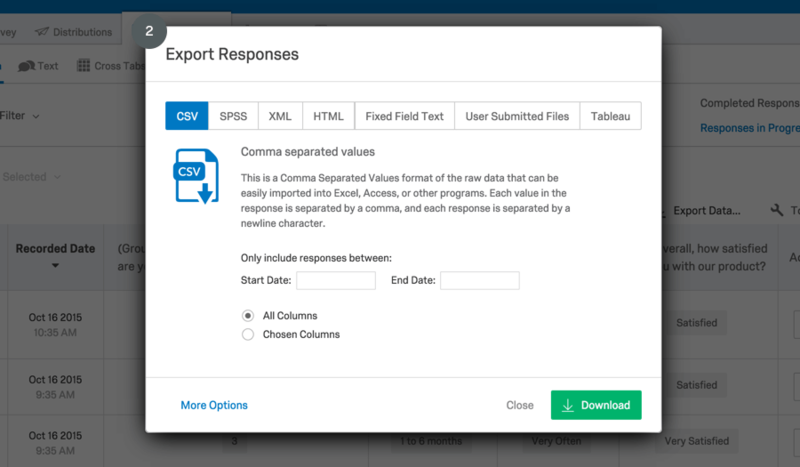 Relabeled Download Data as Export Data and placed it next to Tools in Data & Analysis. Moved all response-related actions (viewing, exporting to PDF, etc.) 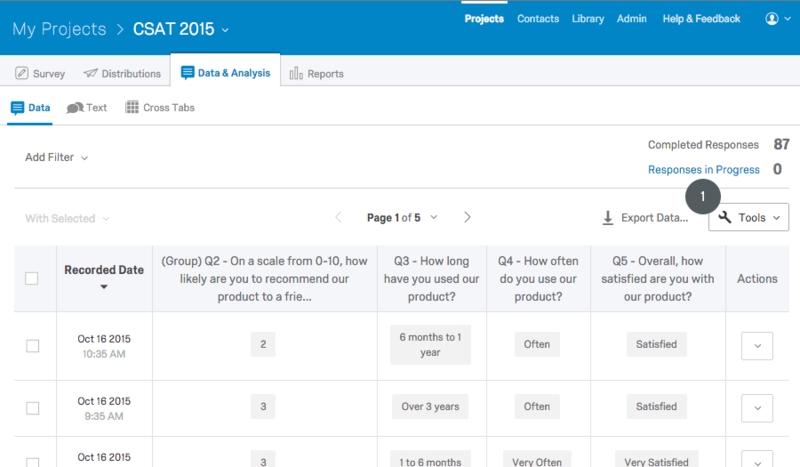 to the Actions dropdown menu in Data & Analysis. 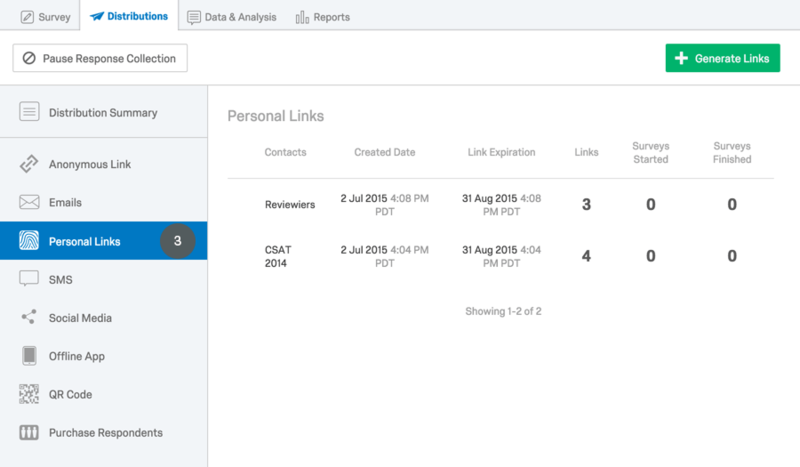 Designed the Reports layout to replace and expand on View Reports. Panels have been relabeled Contacts, and most changes here are to the layout. 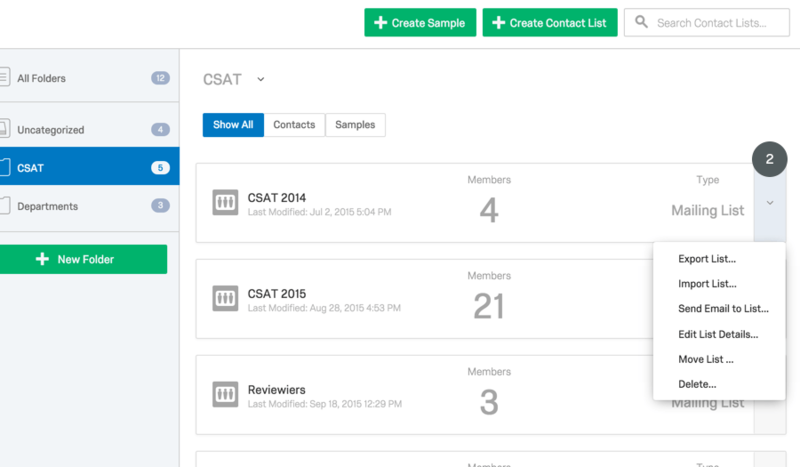 We’ve rearranged a few things to make it easier to view and manage your contacts. Reorganized the layout to make navigating and organizing your contacts in folders easier. Moved panel actions to the List Options dropdown. 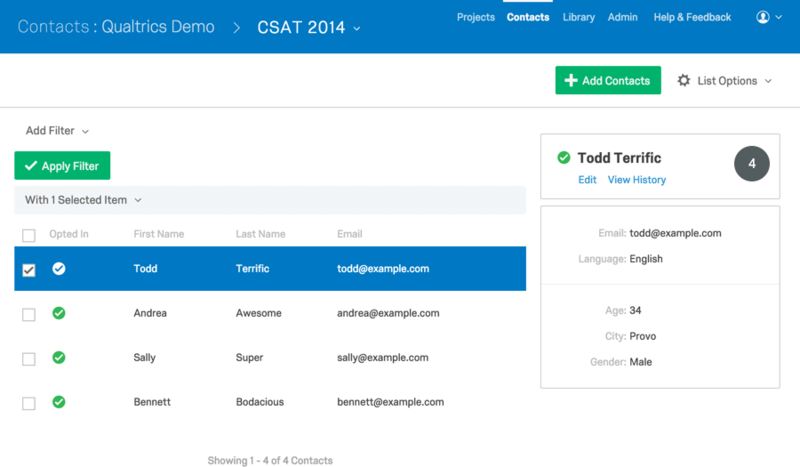 Integrated all add member options into one menu, allowing you to add contacts by hand or import them from a file all in one place. Laid out individual member information immediately to the right of the member name (rather than having a pop up screen). 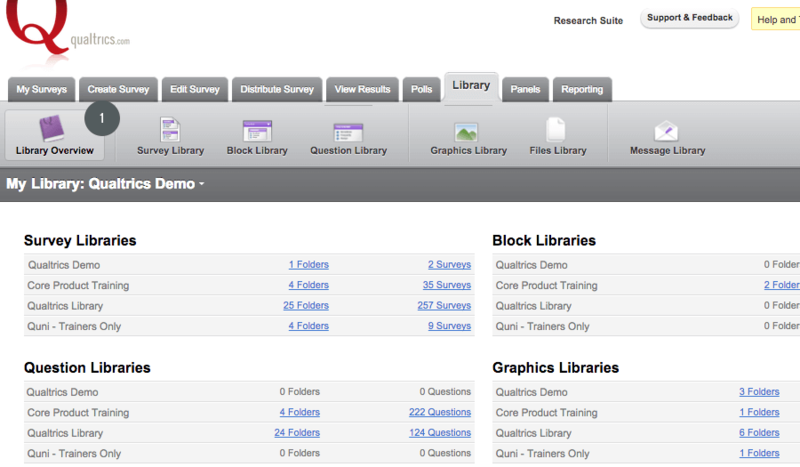 We’ve simplified and enhanced the Library section to make organization and management easier and more intuitive. Removed the Library Overview (now you go directly to the library you want). 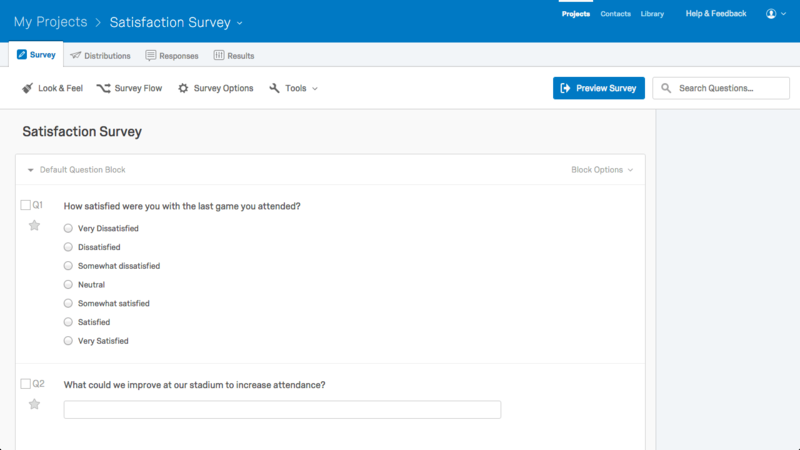 Combined the Survey, Block, and Question Libraries into just the Survey Library. Reorganized the layout to make navigating and organizing your items in folders easier.